Keith Mitchell is the creator and chef par excellence of Lakelands Diet Delivery. He has spent 35 years working in kitchens, 30 of those years as a chef. Keith’s vast experience in meal preparation includes chef duties at the Chateau Lake Louise, Banff Springs, the Chelsea Inn in Toronto, as well as at a number of other restaurants and hotels across Canada. 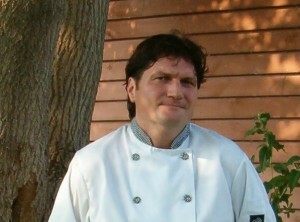 For the past fifteen years, Keith had been the head chef for a number of diet delivery services in Toronto. Keith is an extremely versatile and talented chef who has always been fascinated by the pharmacological properties of food. This interest led Keith to the development of the first diet delivery service in Canada way back at the beginning of the century.